It’s been a while since I updated my space here. I know holiday photos are boring but this is mainly for me and my family archive. If you want to see some happy pictures, feel free to read on. 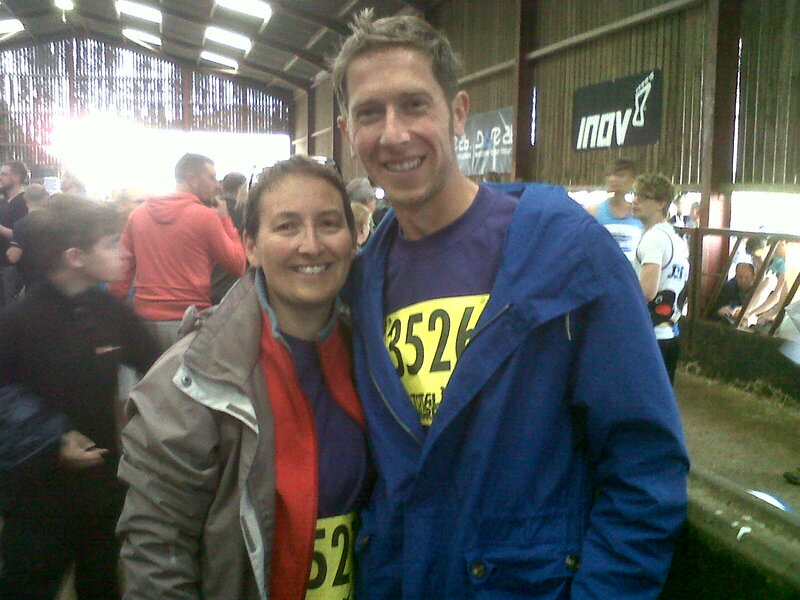 Our holidays started with a trip to Shap to take part in the 2014 ‘Total Warrior’ 10km muddy obstacle race. This is the ‘before’ picture. 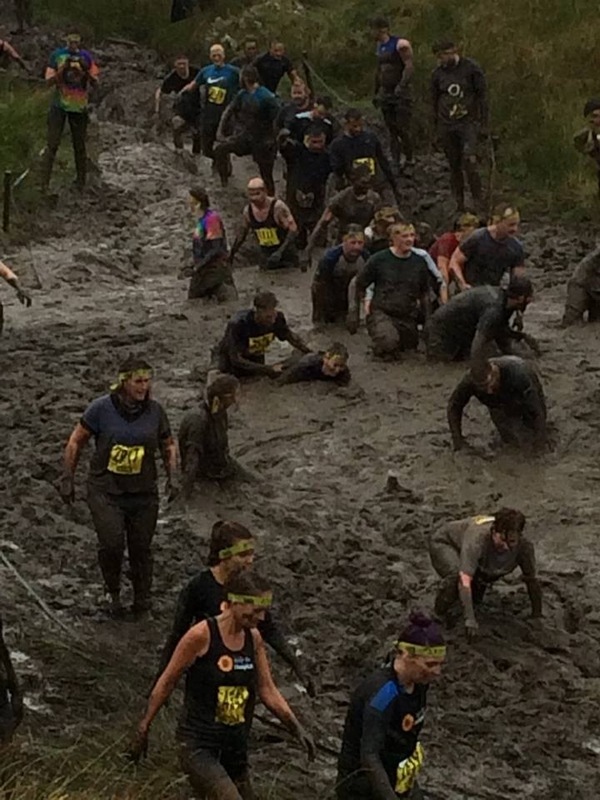 This is one of the most energy sapping obstacles we did. The Husband and I are smack bang in the middle of this photo. I’m the one up to my chest in mud. I was very grateful to swim through a river shortly after this! The weather was dreadful, which didn’t make much difference to us as competitors but it wasn’t much fun for spectators. Fortunately, things improved the day we drove to Beddgelert in North Wales. The mountain you can see in the distance is Snowdon, the highest in Wales and England. 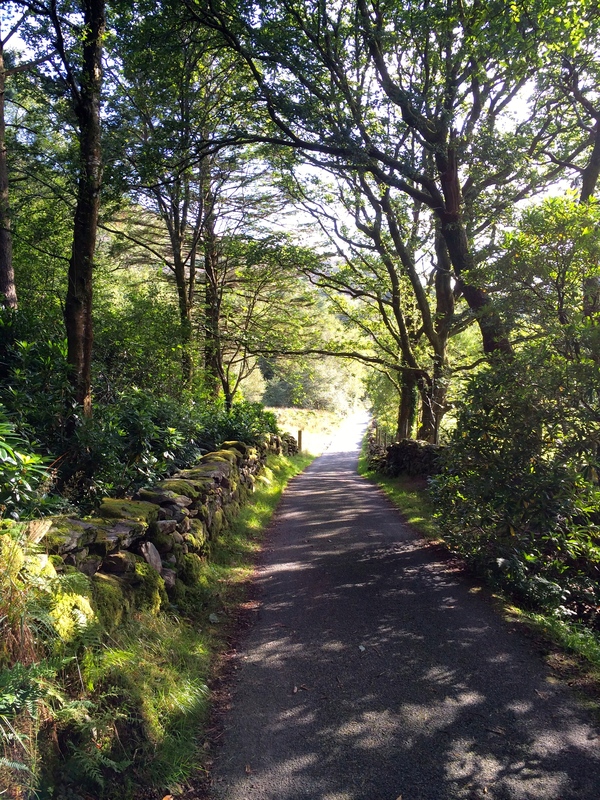 This was taken from in front of our caravan, which was parked at Cae Du campsite, a site that prides itself in providing a peaceful, quiet environment. 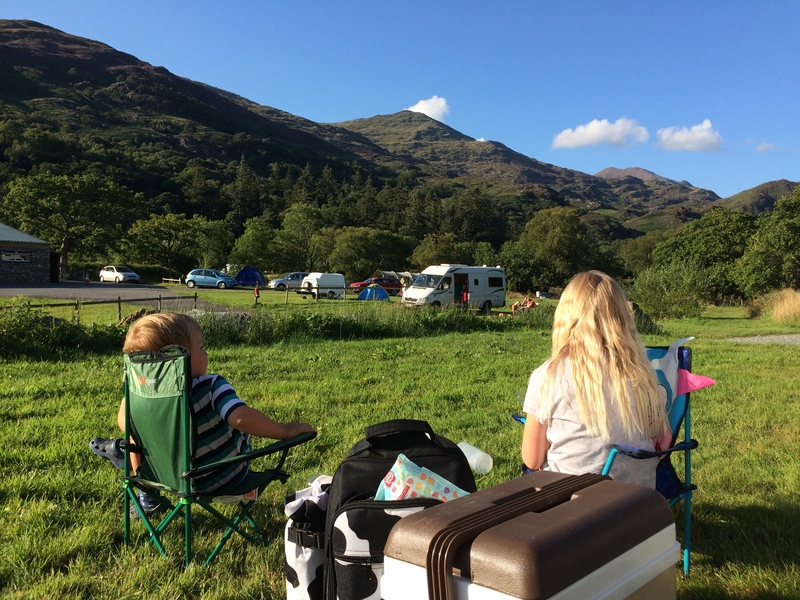 Driving the caravan there wasn’t an experience for the faint hearted but Beddgelert proved to be a good base for exploring Snowdonia. One of our first days out was to Criccieth, a little coastal town which had everything you could want (except perhaps sand). 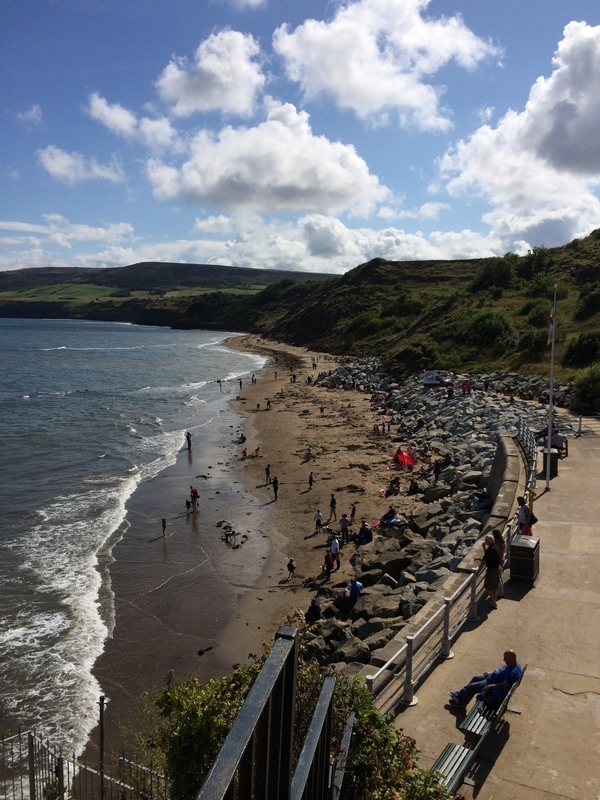 We found a patch of sheltered pebbly beach and settled in to eat freshly fried chips. We spent the rest of the afternoon building rock caves instead of sand castles. I could have spent a few days here as there seemed to be a high street filled with delightful, independent shops but I never got any closer than admiring them from the car. There was also a cute little castle close to the beach but we never made it to that either, we were contended enough on the beach. Caenarfon Castle however, was unmissable. It is truly spectacular. There were so many towers and turrets to explore that we spent hours there. You need plenty of stamina and a head for heights. 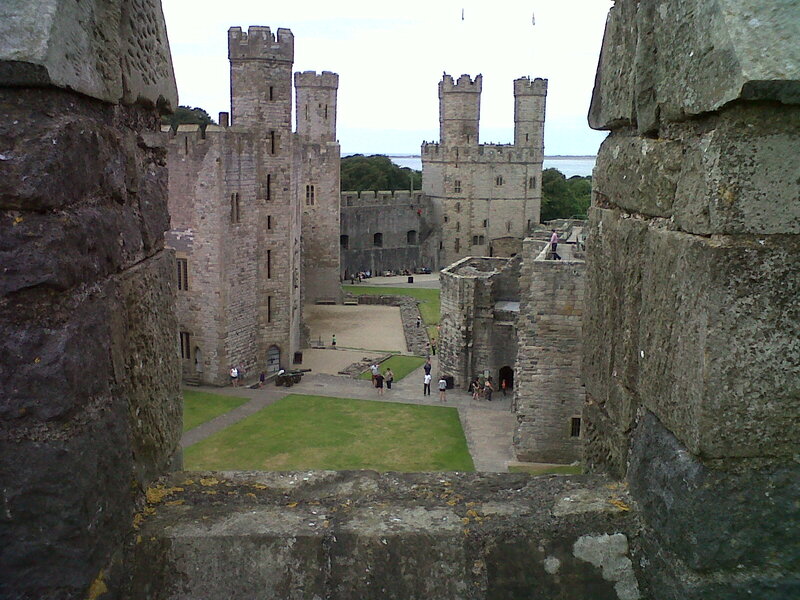 Climbing the towers gives wonderful views over the town, the Menai Straights and the mountains of Snowdonia. 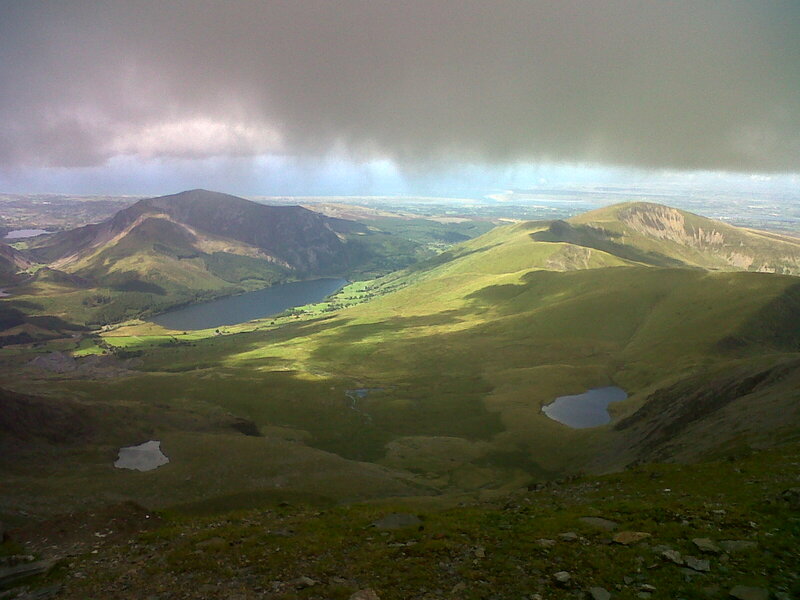 This is the view from the Snowdon Mountain Railway. There aren’t many mountains you can ascend by rail in the UK but Snowdon is one of them. It was very expensive for us to do this trip as a family of five so we were very grateful for mostly good views. The summit was cloudy, cold and windy but I suppose that was a good experience too. Our children now know how true it is when people say that the conditions can change quickly in the mountains. We did have some rainy days during our holiday. 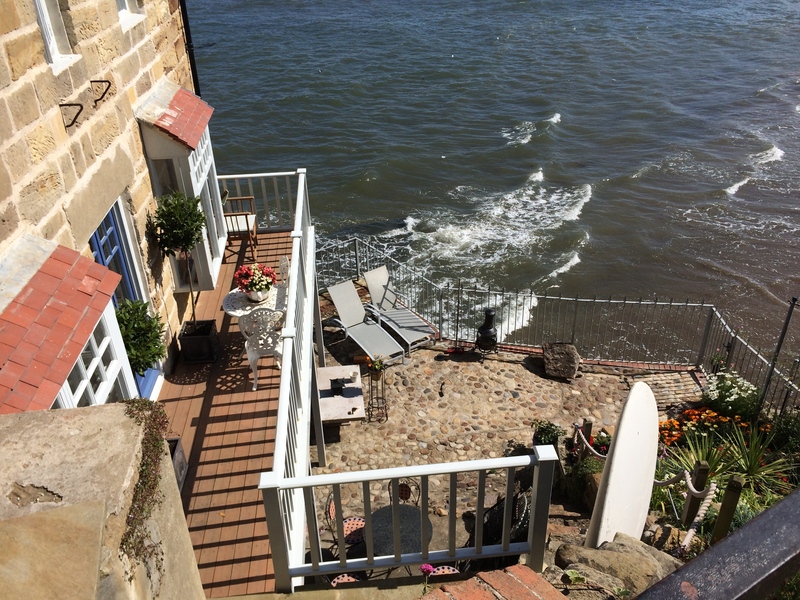 This photo was taken the day that the remains of Hurricane Bertha passed over. Apart from putting the storm straps on the awning, it didn’t affect us too much. We just settled in with games and crafts and eventually dodged the showers for a walk to the village. 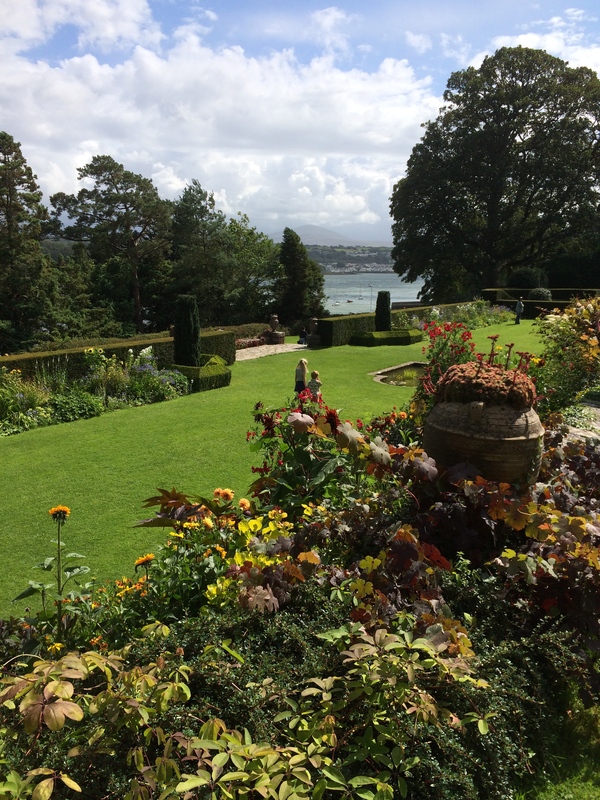 Another of our days out was to Plas Newydd, a stately home on the Anglesea side of the Menai Straits. 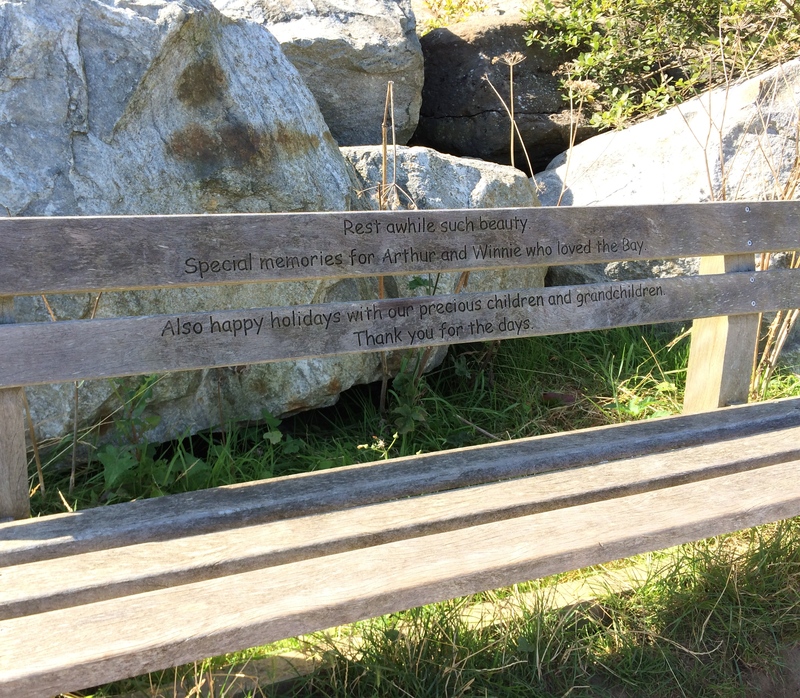 The estate is owned by the National Trust, who have made their properties very family friendly in recent years. 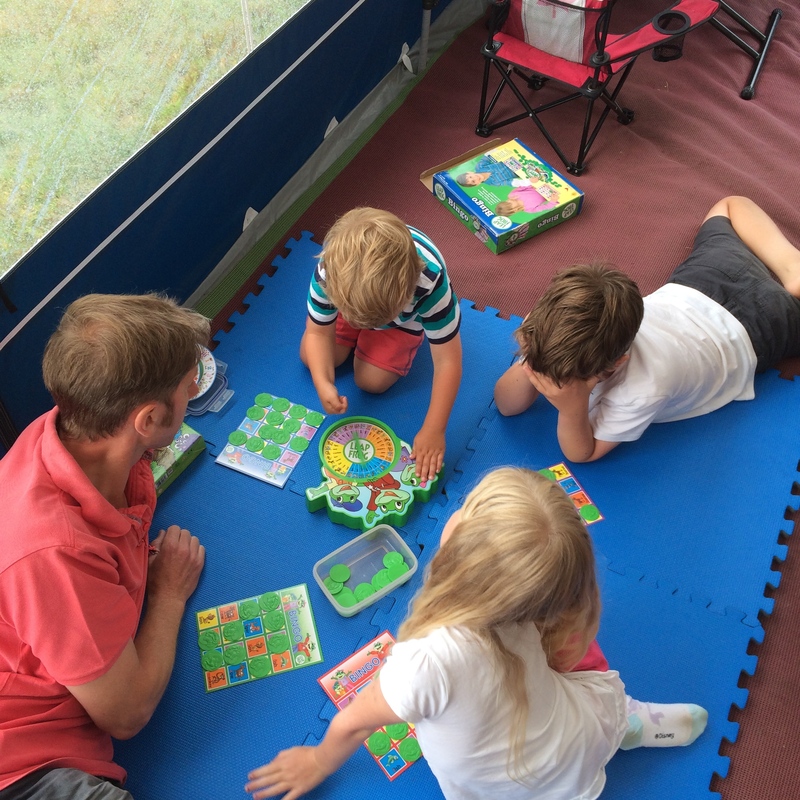 Our children generally enjoy the quizzes that the NT provide and the Plas Newydd experience was no different. They also took full advantage of the playground and happily explored the terrace and formal gardens. It was a bit of a trip down memory lane for me because although I’d never really visited the house or gardens before, I stayed at the adjacent outdoor education centre a few times when I was a biology teacher. 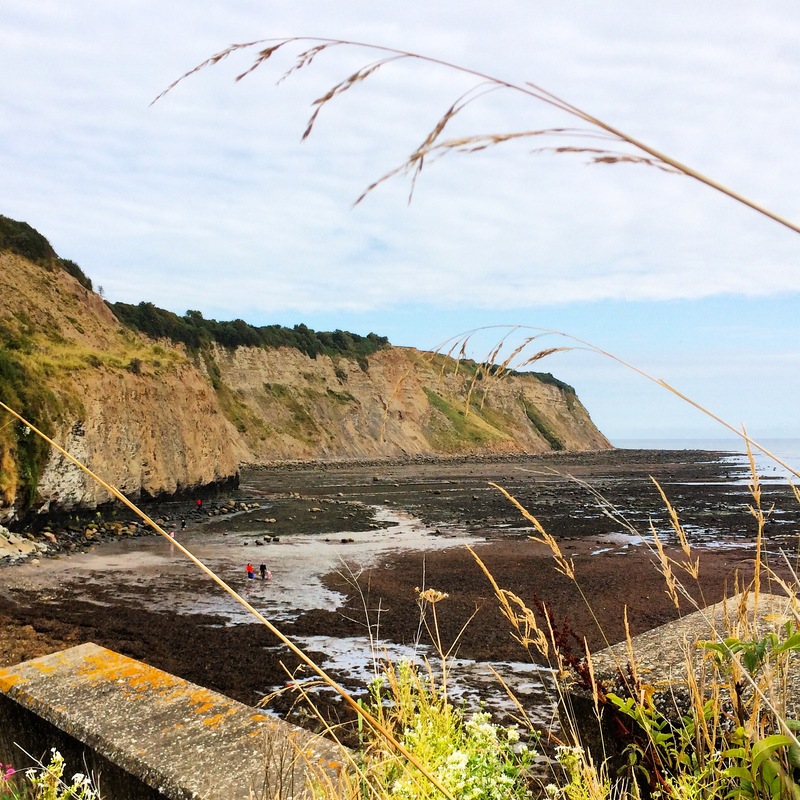 I used to visit with the 6th form on their field trips and we spent many an hour foraging in the seaweed on the shore below the house. Snowdonia has some fabulous coastline. 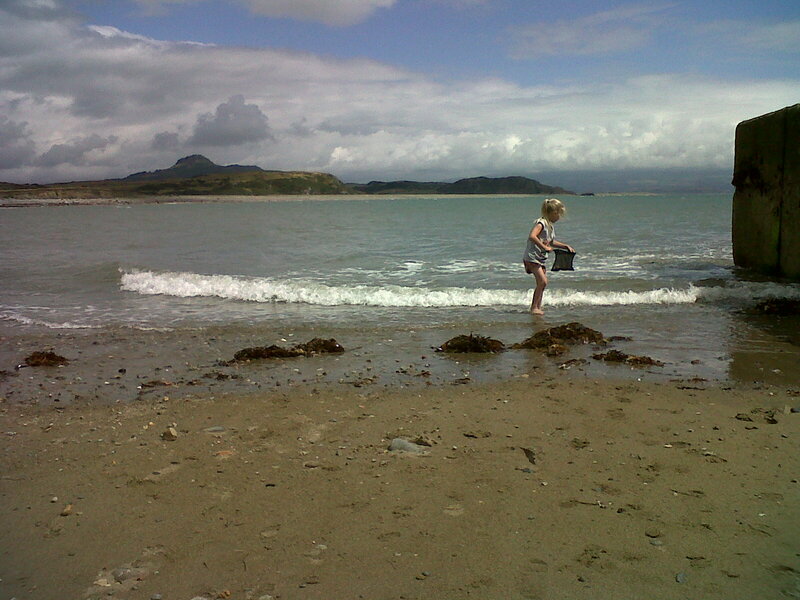 This picture was taken at Nefyn on the Llyn Peninsula. The colours and the light are a wonderful combination of blues, greens, browns and white. 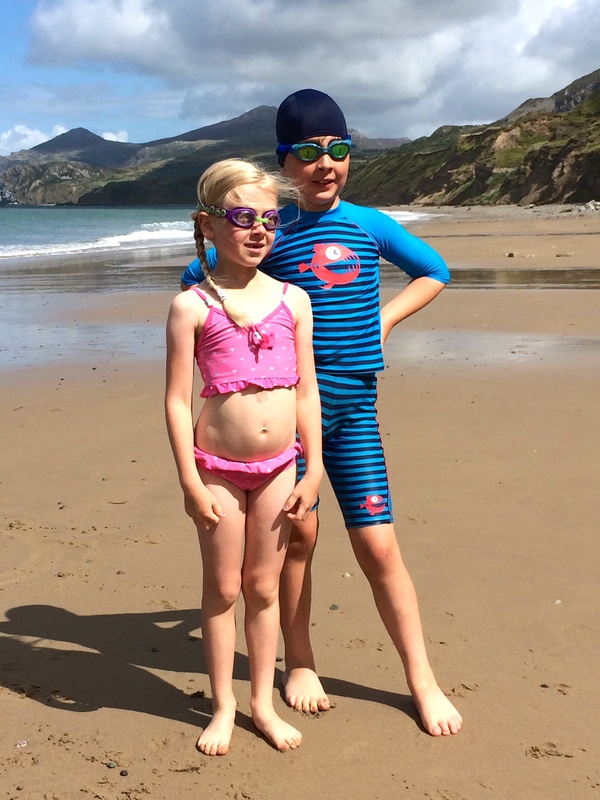 We got quite a taste for swimming in the sea, with the beach at Llandanwg, near Harlech having water that seemed surprisingly warm. 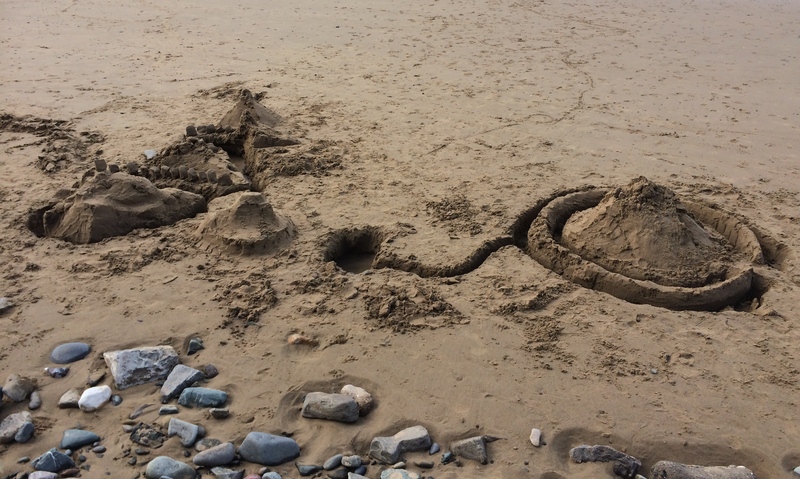 Harlech and Nefyn both had great sandcastle sand too. 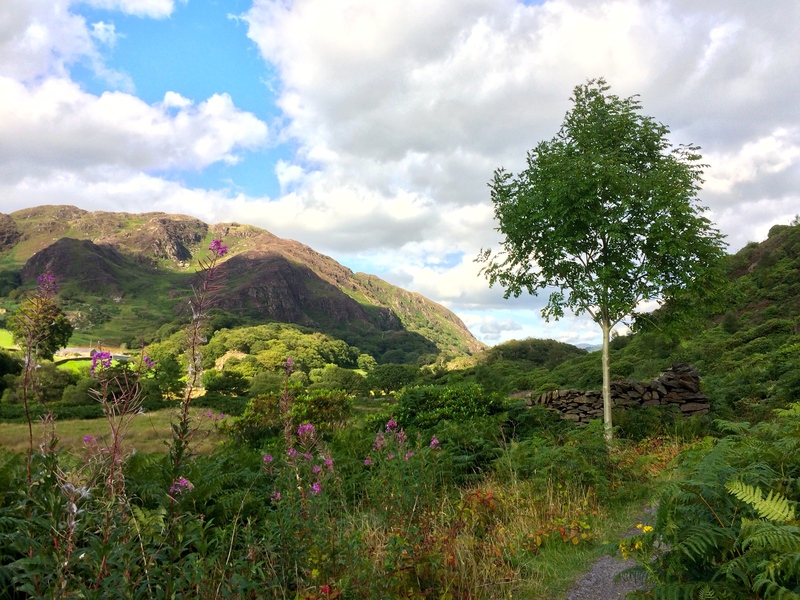 In truth, we could have spent a lot of time just exploring the area around the campsite and Beddgelert. This lake was a short, easy walk away along a quiet lane and scenic footpath. 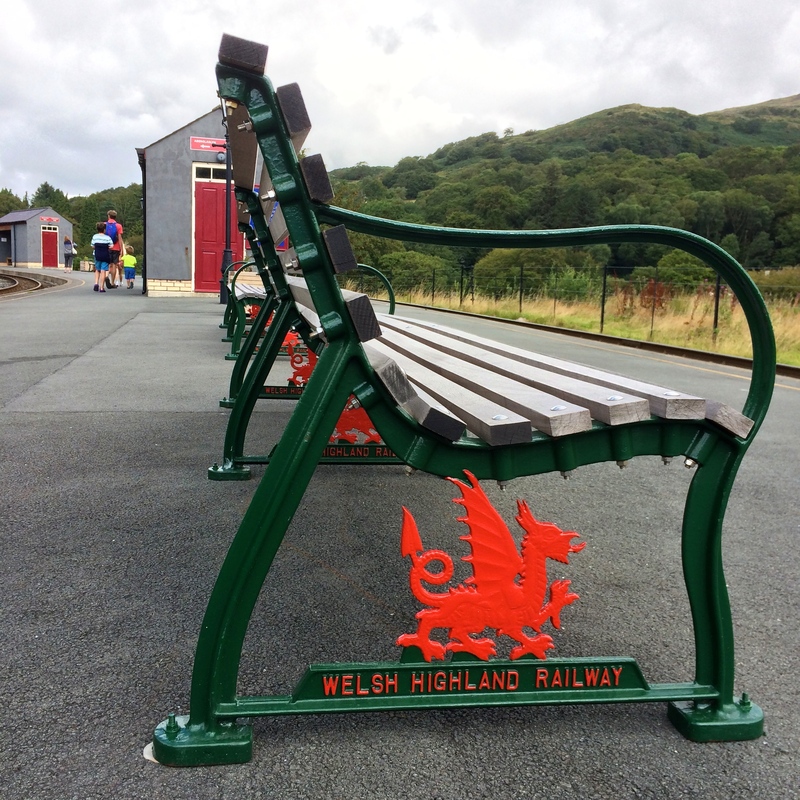 But, North Wales has plenty of attractions too and and we couldn’t resist another rail trip from Beddgelert to Porth Madoc on the Welsh Highland Railway, a narrow gauge railway that runs North to Caenarfon too. 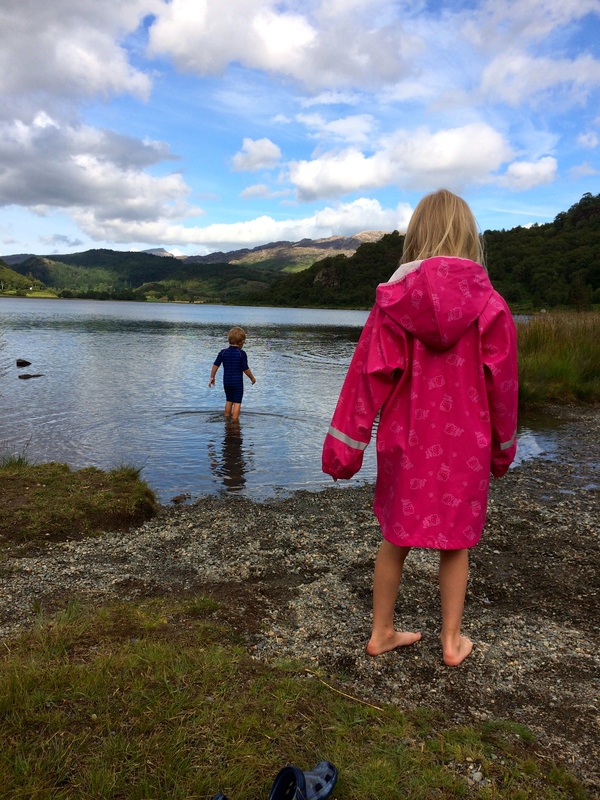 We could have spent lots more time exploring North Wales but our time was up after 11 nights. We had a pressing deadline. The Middle Miss wanted to be home in time for her seventh birthday. 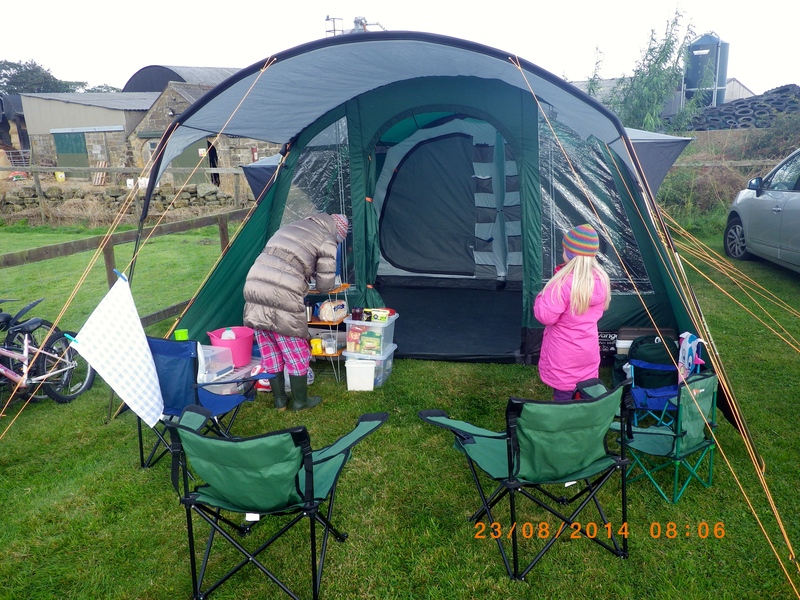 However, staying on a site with tents stimulated a short camping trip over the August bank holiday weekend. I told Son Number One that I was never camping again and that if he wanted to I was happy to keep paying his subs at cubs. 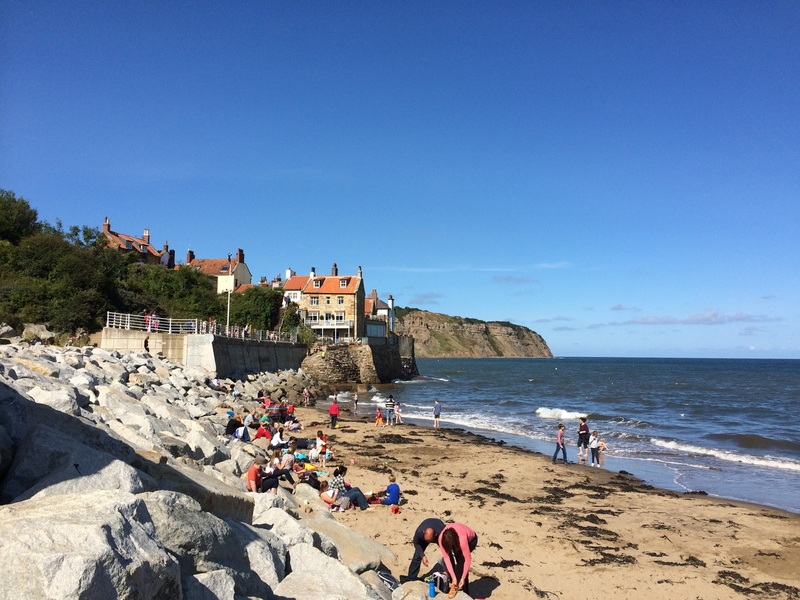 The Husband fancied a trip though and planned to take the older two children to a site near Robin Hood’s Bay, which is just an hour away down the coast. I hummed and ahhed about joining them and eventually I felt sorry for Babykins, who was going to be left behind if I didn’t go. Luckily, it was a great trip on a pleasant site with plenty of sunshine. 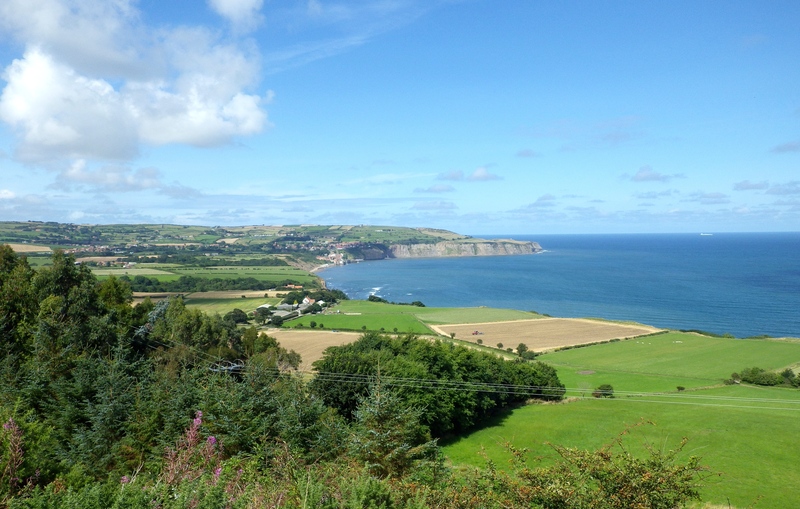 On the Saturday, The Husband, Son Number One and The Middle Miss embarked on a bike ride from Hawsker to Ravenscar, the same trip that we did last September with the local scouts. 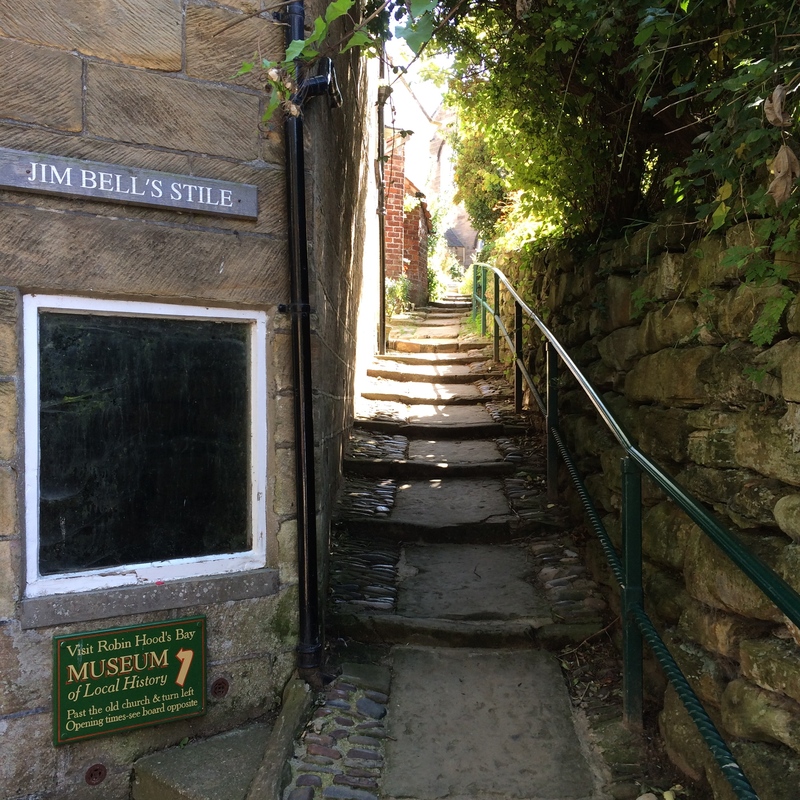 Babykins and I explored Robin Hood’s Bay itself. It’s an incredibly photogenic place but I just haven’t captured it. 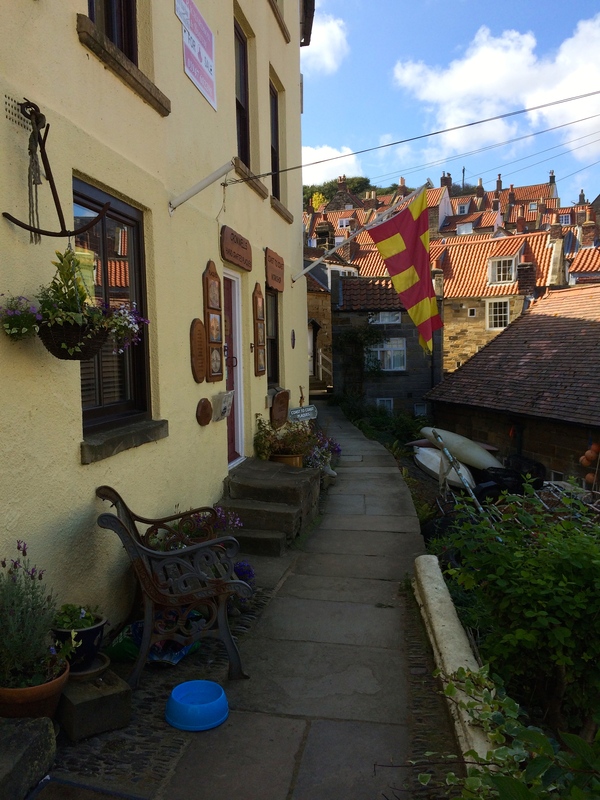 The houses appear to be piled on top of each other and cling to the sides of a steep road down to the harbour. Everything about it is quaint and picturesque. 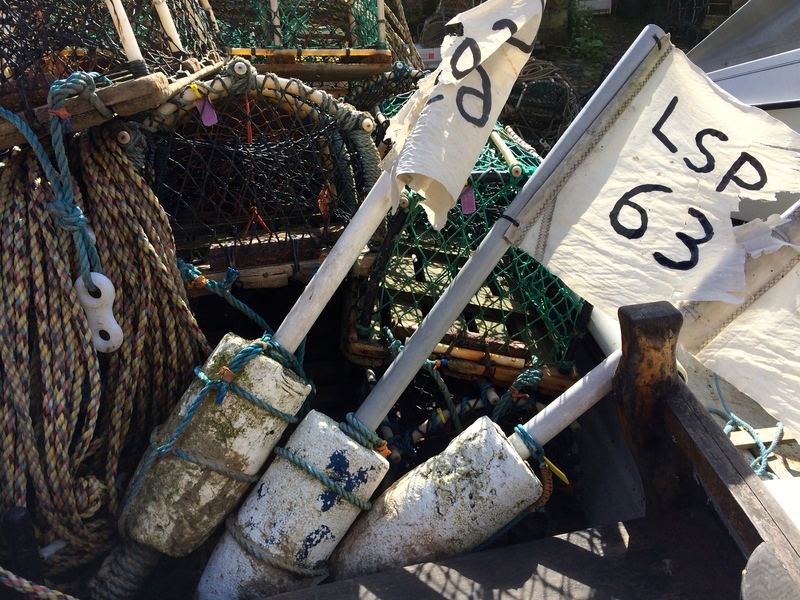 As you can see from the picture below, fishing is still a part of the town’s activities. 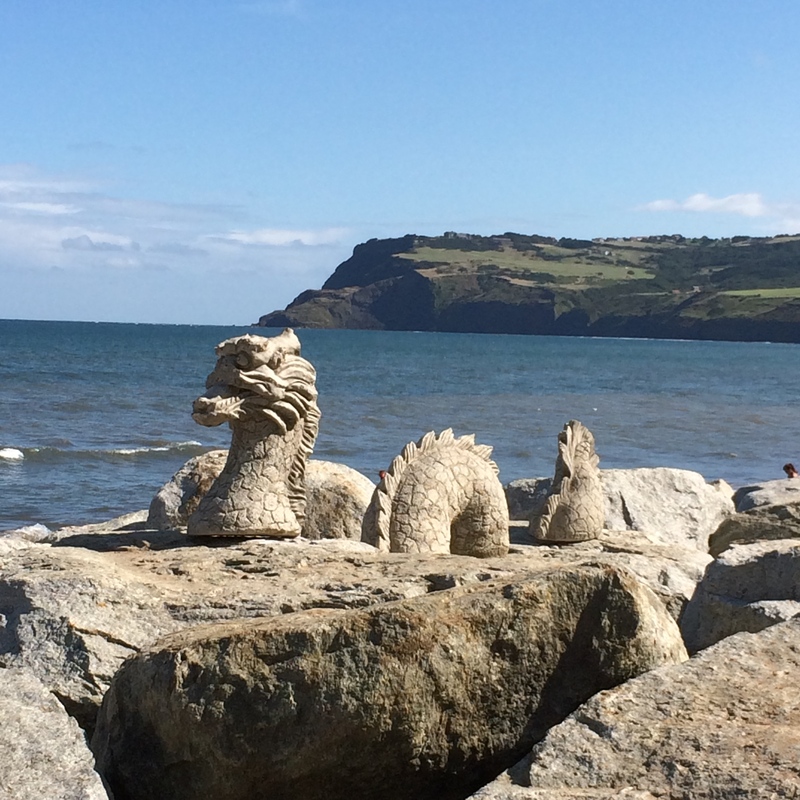 I didn’t know it had it’s own sea monster! 2013 was…Full of fun times. We had sledging adventures, days out at the beach, nights at the beach, visits to the farm, visits to the caravan, looked for Old Jack’s Boat, had Summer in Somerset, fresh air at the park, climbed hills, rode bikes (a long way), carved pumpkins and fed ducks. Not a bad year. but the play area was empty. These are the days that I feel I should be taking advantage off. I know that when school really takes over there will be no more empty play areas. However, proper school, reception year, is a long way off yet. Plenty of time for getting out and about. My boy is pretty confident in his climbing and balancing. It’s just a shame he didn’t have his siblings to play with. I had a few opportunities to enjoy the bits and pieces of nature scattered around by the previous weeks high winds. Babykins wasn’t really interested. I am always drawn to looking at lichen it’s so delicate. Silly really but I do like both the texture and subtle colours. In the low winter sunlight even the dried up leaves with grass sticking through looked pretty. We took advantage of the clear skies today to enjoy a trip to the park. We used to come to this park a lot but for some reason I don’t think we’ve been since Babykins was born. Visiting today reminded me of how different things were when Son Number One was last here. He was still on his leukaemia treatment then. I felt that I had to keep my eye on him all the time because he was so apt to trip and stumble. Neither of us was particularly confident about his climbing, running or jumping. What a joy it is now to see him tackle the zip-wire with ease, to scale the heights of the climbing frames and to generally run around without a care in the world. A couple of weekends ago we took part in a sponsored bike ride, organised by Son Number One’s Scout group. 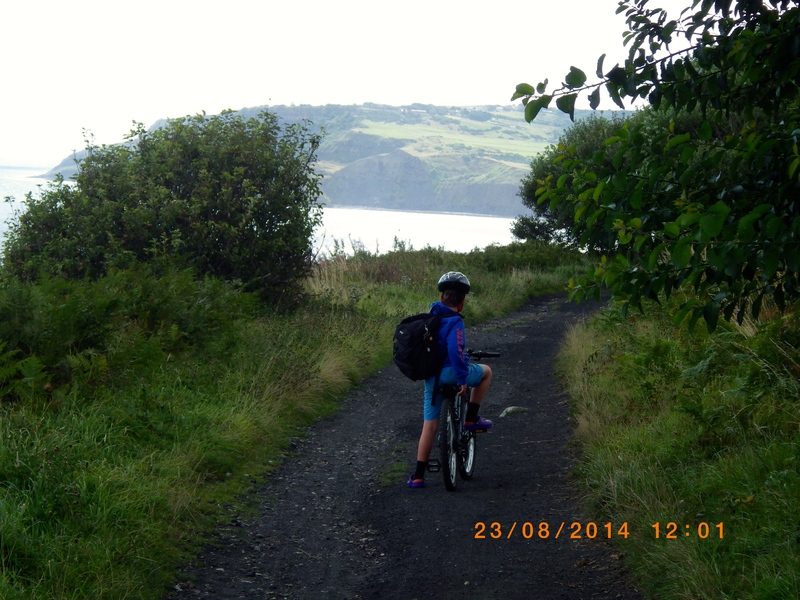 The challenge was to cycle from Hawsker, near Whitby to Ravenscar and back again, a distance of 17 miles. The weather was perfect, sunny but not too hot. Nevertheless, it was still quite a challenge, especially for The Middle Miss with her little bike and me with Babykins on the back. There was much stopping and starting on the outward leg of the journey as my girl struggled to get to grips with her gears. Let me tell you that stopping and starting when you have an almost three year old on the back of your bike is no fun. While you are stationary it’s hard work holding the bike up and keeping it steady and when you set off again it’s just darn heavy. 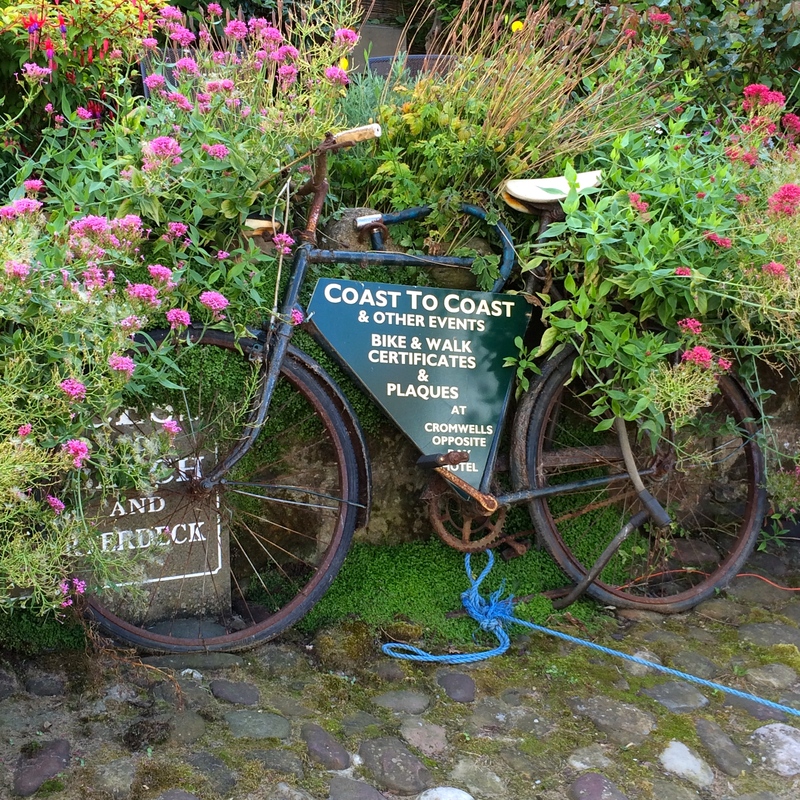 Of course, there are incentives to spending the day cycling in Autumn…. 1. Aim for as much off road cycling as possible but check the state of the tracks. Too much gravel, mud or rough track makes for accidents. 2. Avoid hilly terrain. Obvious really. Disused railway lines are often great cycle tracks. Steam engines don’t like steep hills any better than small children. 3. Try and cycle where you will have a mobile phone signal. We didn’t have any signal for a lot of the time so we couldn’t let our friends know how far behind we were. As part of an organised ride with regular checkpoints it wasn’t really a safety issue but had we been on our own, it might have caused problems. 4. Encourage children to carry their own drink and snack but be prepared for taking that responsibility from them. It made all the difference to The Middle Miss when we carried her bag. 5. Make sure that non-cycling children who are being towed or carried on a seat are well wrapped up. They are much more likely to get cold than the person transporting them! You can buy cape style covers for children in bike seats. I improvised by wrapping an old rain coat of mine right around Babykins and zipping it up at the front (see the first picture). Gloves are well worth having. Warm shoes or boots are also important. 6. Cycle with friends. I barely saw Son Number One on this ride because he shot off with his friends from his Beaver Scout group. There were three other families doing the ride with us and all the children knew each other. They really kept each other motivated. Having other adults on hand was a blessing and had there been any serious difficulties, we could have split up and still supervised the children. 7. Take a first aid kit, wear a helmet and be prepared for running repairs like punctures. 8. Check the weather – too hot, too cold, too windy or too wet – don’t even bother. It won’t be fun. 9. Know your limits and the limits of your children. Don’t push them too far or everyone will be frustrated. If possible, start small and build up over time. 10. Take plenty of snacks and drinks. Be ready with cash for an ice-cream at the end. Or in our case, fish and chips in Whitby. The perfect way to end the day. My children’s school didn’t start until the 5th of September so we took the opportunity to get away for one last summer holiday trip. This time it was me, my Mum and the children who took off in the caravan. Our six nights away in York went by very quickly. It seems strange to only just be writing about this now, when autumn seems to be very much here. 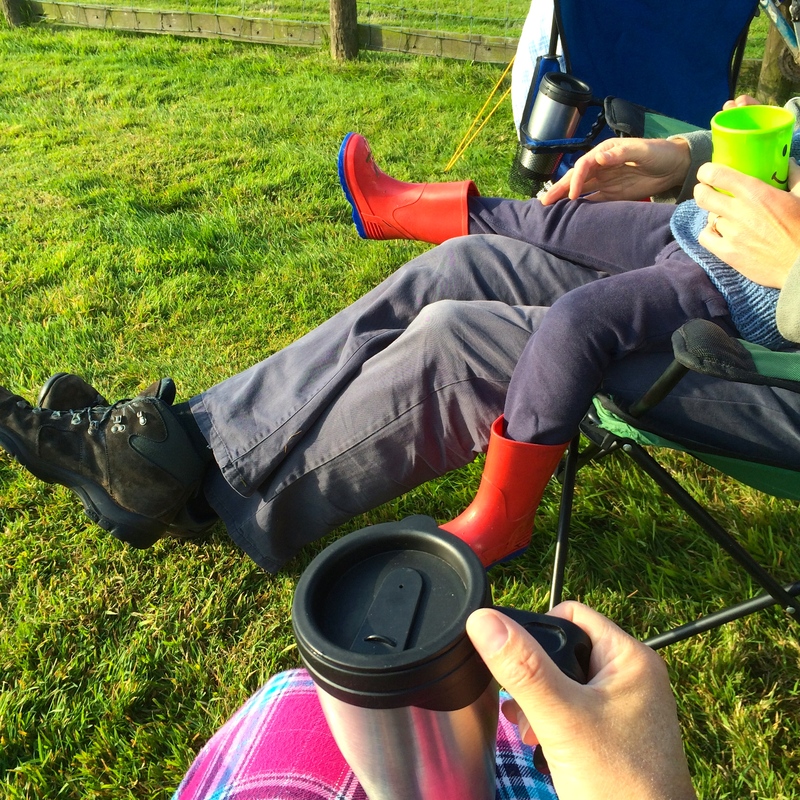 Our original pitch at the caravan site was not great – as far away from the play area as it was possible to be. Luckily for us we managed to move to a much more suitable position – right next to it! It was a move that was well worth making. In our new position, we could supervise the children in the play area without leaving our chairs. It also meant that we could let Babykins have a lot more freedom than he would otherwise have had. 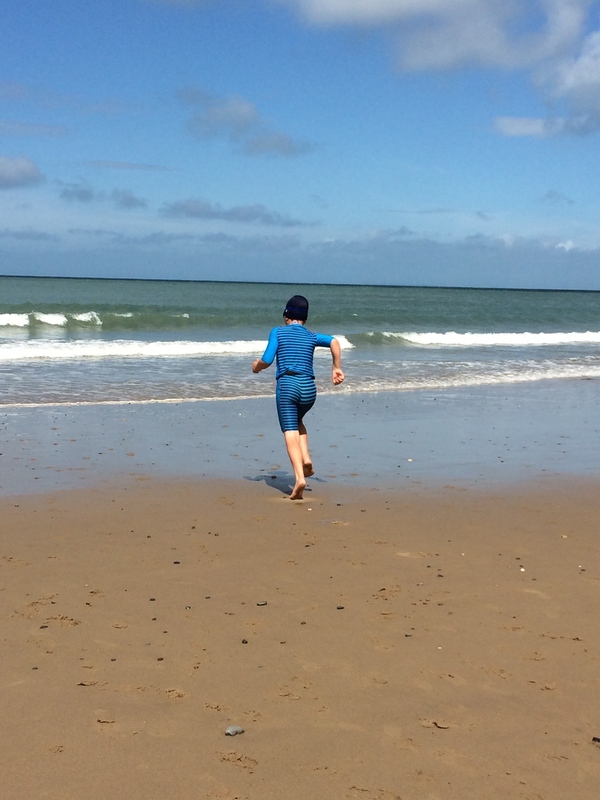 And if there’s one thing that defines a caravan trip for us, it’s the freedom the children have to run, play, shout, jump and make heaps of new friends. As the days of our trip wore on, the number of children dramatically decreased as everyone went back to school and work. Still, there’s always plenty to do in a caravan. Son Number One practised some life skills : grilling sausages…. Babykins also practised some life skills: using a hammer. There is so much to see and do at York, but it isn’t cheap. It is a relatively compact city (as most ancient cities are) so easy to navigate on foot. However, we bought a ticket for the hop-on, hop-off, open top, sight-seeing bus one day and it was well worth it. The children got to see parts of York and hear history that we wouldn’t have had time for on foot. Of course, the novelty of the open top bus is enough to please children. 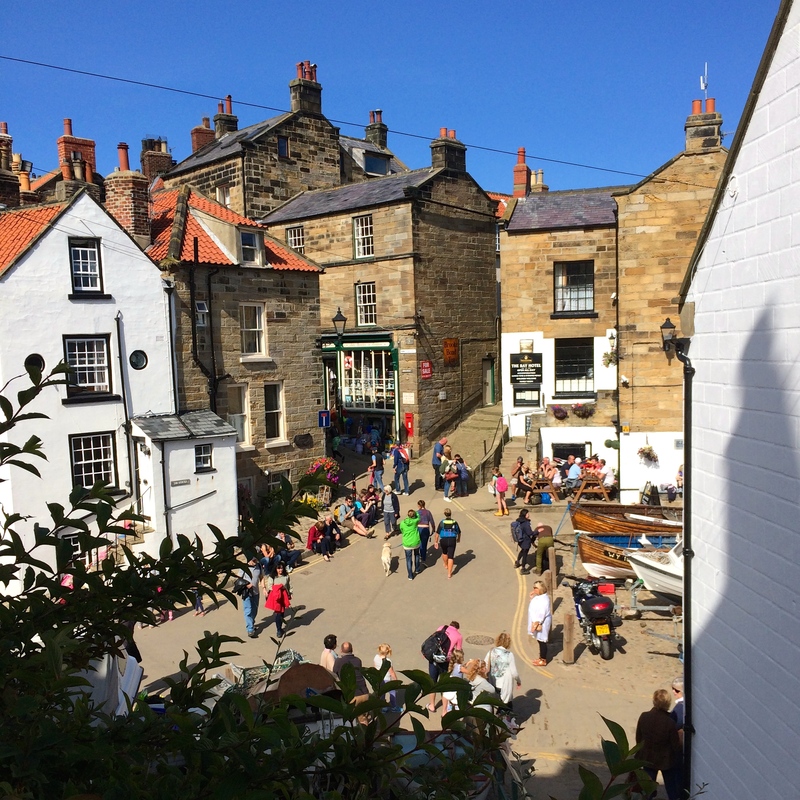 If you are staying for a few days, live far away and want to see all the attractions you probably need to buy a York Pass. In our case, I decided to buy a full ticket just for the four Jorvik attractions (Jorvik itself, Dig, The Barley Hall and the Micklegate Bar Museum) because it lasts a full year and since we were visiting at the end of the summer holidays, I figured we could get a lot more use of it. York is not so far away from us. 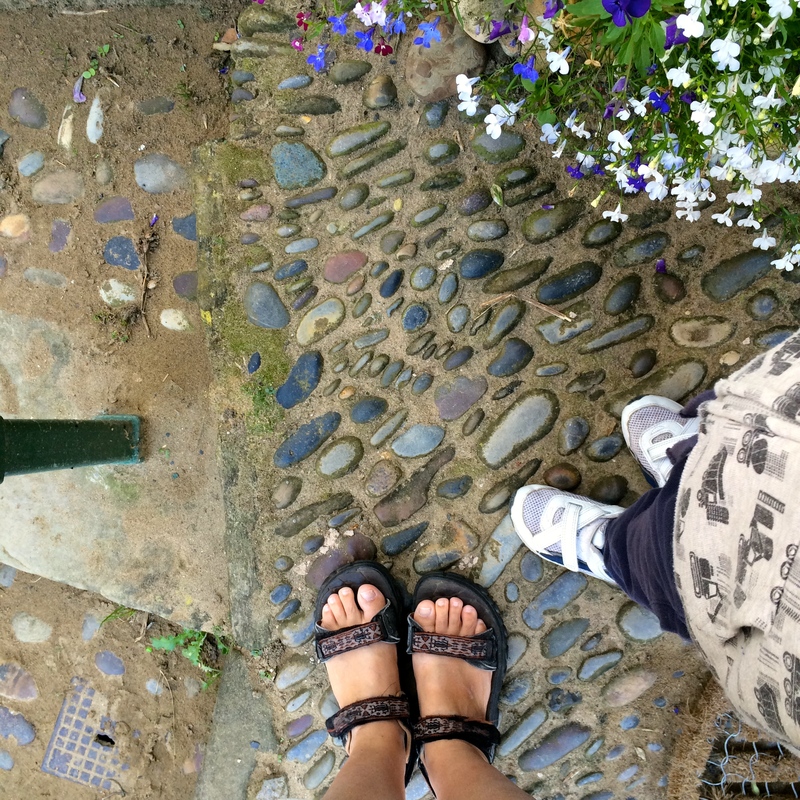 We visited Dig, the hands on archeology museum, on the last Sunday of the summer holidays and it was very quiet. You have to book a slot for this museum as you are guided on a ‘dig’ by an archeologist. We had the guide to ourselves, which was brilliant. Not only because of the undivided attention he was able to give to my children but also because I didn’t have to worry that my children were bothering anyone else! It was a really well set up and organised attraction that got the children thinking about how archeology works. In many ways, it was better than the famous Jorvik museum itself, which was a little scary for The Middle Miss. It was almost worth the trip for the dressing up box in the Under 5’s area. Babykins has taken to slaying imaginary dragons since we visited. We also visited Jorvik itself (twice, so that The Middle Miss could get to grips with it without being too nervous). All the children enjoyed the demonstration of creating Viking money and I think they might even have learned something. One of the things we always do in York is visit Cliffords Tower, because we have English Heritage membership. The wide, circular tower is all that remains of an old castle. It is a very impressive building on an imposing slope. The view from the top is great, especially as there are interpretation boards up there that allow you to pick out and name the buildings you can see. The day we visited English Heritage were running one of their ‘Time Travellers Go’ events. This one was ‘Knight and Princess school’ and it was a lot of fun. The man in charge of training the brave ‘Time Travellers’ had a sense of humour that really worked with children. He asked them what their favourite food was and when he invested them as knights, he used their answers: “Arise Sir Babykins of the sausauge, chips and beeer” (don’t ask). The children before us were dubbed in the language of toilet humour, which, as you can imagine, made them all giggle. The dressing up props were beautiful and my brood did indeed look very regal in their crowns and cloaks. I don’t know where they got the chap from who ran the event but he was absolutely perfect. Fact filled and funny too. Our last major jaunt was to Lightwater Valley, another day out paid for by my Tesco Clubcard points. The main attraction as far as Son Number One was concerned was the new Angry Birds play area. If, like me, you mourn the passing of ‘Fort William’, the log based adventure playground that used to be the best bit of Lightwater Valley, Angry Birds goes some way to compensate. The play area is large, well designed for different levels of ability and reasonably contained. There is even an indoor, Angry Birds ‘Space’ play area. I held my breath as Babykins ran, climbed and balanced his way right around, to the highest levels. Luckily, his sister was brilliant at looking after him, running ahead but always checking that he was one step behind. Otherwise I would have worried about loosing him. Of course, we went on quite a few of the other rides in the park but it wasn’t always easy to please everyone. Because Babykins is under one metre tall, he could only go on the smallest and lowest risk rides which thankfully, there were enough of. Probably the trickiest part of the whole day was finding things that all three of them would enjoy together. Luckily, because we had two adults, we could split up from time to time so that everyone got to do what they wanted. Unfortunately, the other down side to the day was the bored looking attendents. Most of them looked like they wanted to be anywhere but there. It didn’t make for a fun atmosphere. There were some notable exceptions so perhaps I shouldn’t tar them all with the same brush. We were very lucky with the weather while we were away, it was still warm and sunny enough for shorts, as these pictures show. Our caravan site was close to the Monks Cross Park and Ride area and the tourist attractions were starting to get a little quieter. All good reasons for holidaying to the very end. I love the ability to be able to stretch out the summer holidays. We have had such a busy time this year. 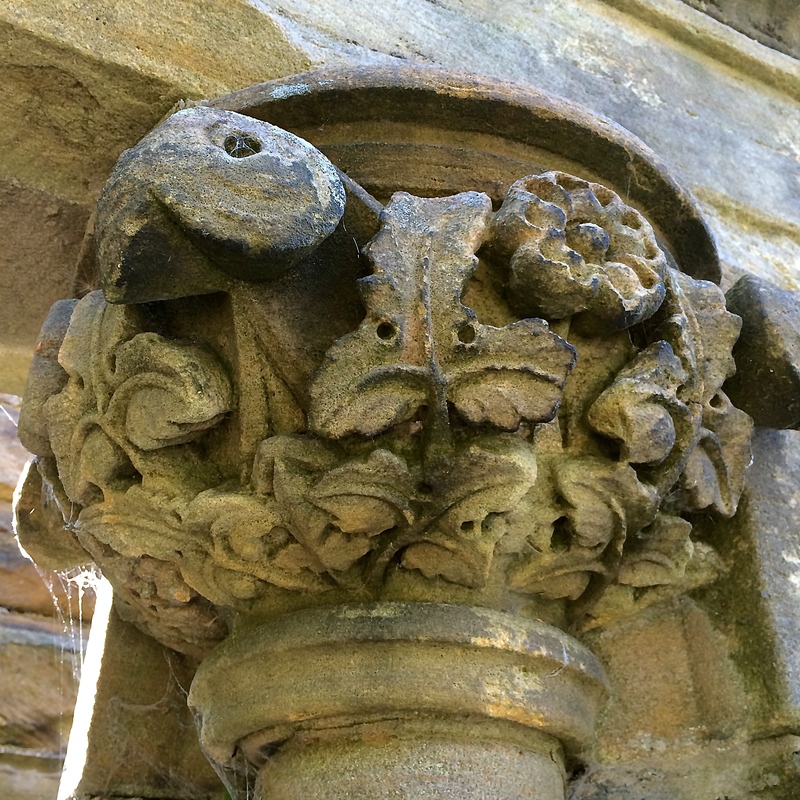 We have visited Shap for the ‘Total Warrior’ assault course/mud race, Somerset for our main holiday (which was interspersed with jaunts to Wiltshire and Dorset that I haven’t blogged), Penrith for the Bank Holiday and finally York. In between that we have had two birthdays, complete with cake and parties and a first family trip up Roseberry Topping. All in all, it hardly felt as if we were at home at all.